The Future Melbourne 2026 project asked Melburnians to consider their city for the decade ahead. 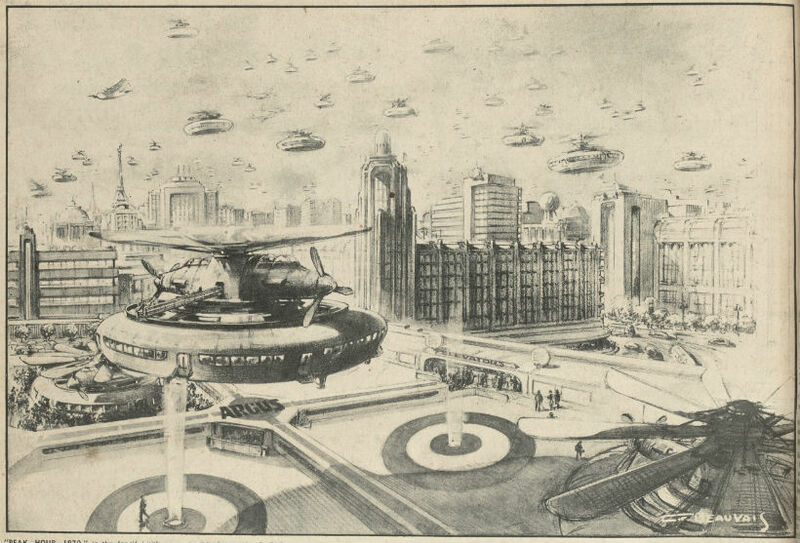 So what better time to reflect on the kinds of futures that were imagined for Melbourne in the past. Some big dreams and ambitious visions have been realised, others have not – for better or for worse. And it’s not just the appearance of the city that these imaginings have shaped, but also how we interact with it, move through it and inhabit it. 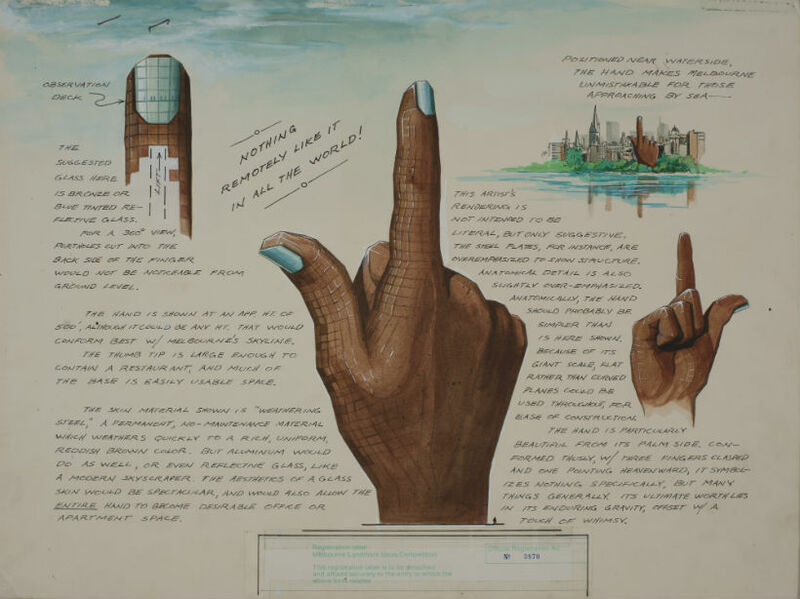 The exhibition A History of the Future: Imagining Melbourne looks back in order to look forward. For 180 years, city planners, architects, artists and writers have imagined a future Melbourne from the vantage point of their own time and place. The stories told here provide just a snapshot of the many plans, schemes and dreams that have been variously realised or shelved as Melbourne has considered its future self. They reveal changes in attitudes – towards heritage, the natural environment and modernity – that have shaped much of the city that we find ourselves in today. The exhibition also includes a 14-metre-long wall drawing by artist Lewis Brownlie, which imagines a Melbourne skyline that might have been if these various proposals had gone ahead. The following are a number of examples featured in the exhibition. Following the discovery of gold in 1851, Melbourne burgeoned as a centre for commerce, government, education and culture. 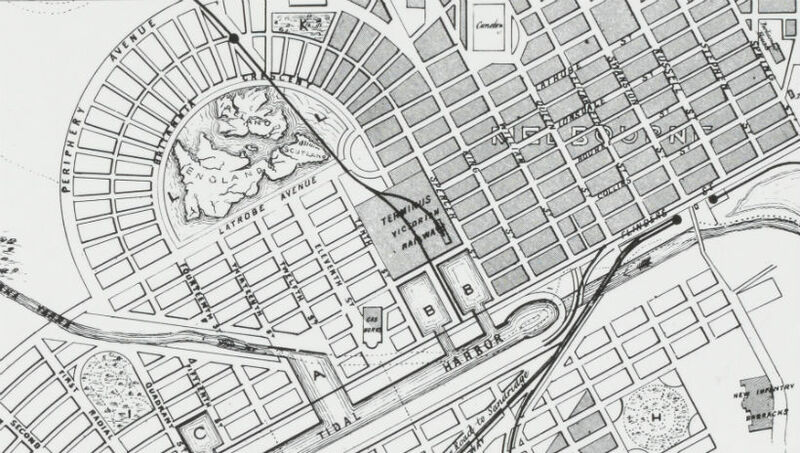 As immigrants poured in and gold and primary produce flowed out, the city looked for solutions to its limited port facilities and its twisting, shallow river. Engineer John Millar proposed, in 1860, that a ship canal be carved through the soil from Port Melbourne to the Yarra near Queens Wharf. His ornate design included an extension of the city to the west, complete with islands in the shape of the British Isles in a lake encircled by ‘Britannia Crescent’. 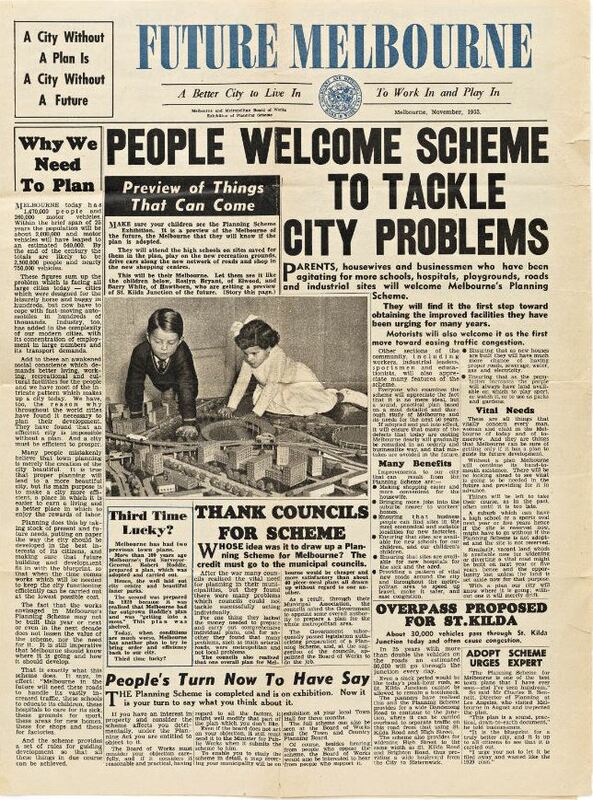 This single-issue newspaper was made available to visitors to an exhibition at the Melbourne Public Library (now State Library Victoria) in 1953. 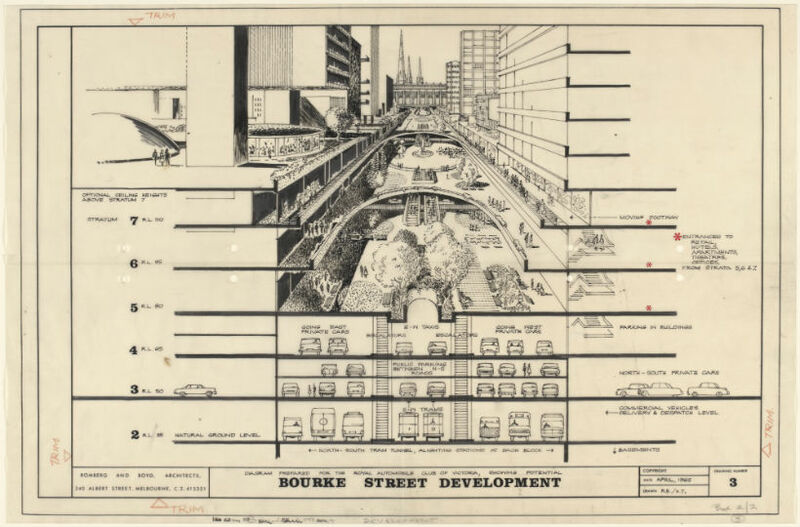 The Melbourne and Metropolitan Board of Works used the exhibition to introduce Melburnians to its plans for the future through its Melbourne Metropolitan Planning Scheme. This plan marked a significant milestone in attempts to formalise Melbourne’s development. Engineer Edwin Borrie and his team had spent years researching Melbourne’s housing needs, traffic congestion hotspots and infrastructure deficiencies to map out a vision for the future. 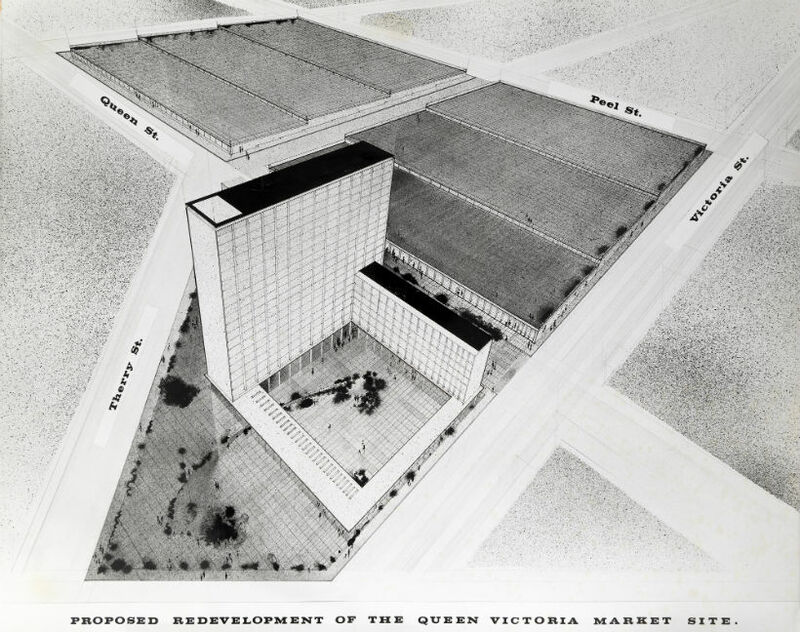 Forty years ago, Melbourne came close to losing much of the Queen Victoria Market and State Library Victoria, as we know them today. A plan to redevelop the market in 1971 was shelved after protests from the National Trust, stallholders, community groups and the Builders Labourers Federation. Two years later the market was identified as a potential new site for the library and the then-named National Museum of Victoria, which were outgrowing their site on Swanston and Russell Streets. The library’s domed reading room would ‘provide, as never before, for display features of a special and excellent kind’ for the Science Museum, which would remain. The 1973 plan for the market proposed retaining much of the historic sections of the market, but it too was shelved after public opposition. In 1978, Melbourne wanted an icon, a landmark, a signature building. Sydney’s Opera House had opened five years earlier and Melbourne was feeling a little lacking. Seeking to fill this void, the Victorian state government launched the Melbourne Landmark Ideas competition. Identifying a site along the Yarra, now occupied in part by Federation Square, the government welcomed ideas for a landmark that would put Melbourne on the international map. The competition was advertised widely and some 2000 entries poured in, from architects and artists from the USA, Japan and Australia through to homemakers from suburban Melbourne. Imaginations ran riot. Entries included giant kangaroos, koalas and cricket wickets, as well as a pair of mammary-shaped buildings topped with revolving restaurants. Many of the ideas could never be realised and, while the judges made a shortlist of 48 entries, the competition was shelved without a winner. ‘PEAK HOUR, 1970’ is the fanciful title given to this drawing by C.F. Beauvais ... He imagines that Melbourne has been rebuilt and that this particular scene is on the roof of The Argus building, at the corner of Elizabeth and Latrobe sts. The big helicopter in the foreground is just landing, brought to its exact landing place by a beam of light. On the roof are cafes and roof gardens, with elevators leading to ground level and garage accommodation beneath the surface. Giant pancake autogiro buses, capable of carrying dozens of passengers in a circular compartment, can take off and land vertically. While they are in the air – and there are hundreds of them in the air during ‘peak hour’ – automatic devices prevent them from colliding or getting in each other’s way. In 1965, Robin Boyd prepared this drawing for a Royal Automobile Club of Victoria (RACV) submission to the City of Melbourne. The RACV wished to make the case for a Melbourne in the year 2000 that would take advantage of the basin-shaped topography of the CBD area. By creating levels of underground roads and services, and by fixing these levels to common reference points across the city, car parks could extend beneath entire city blocks; public transport and private vehicles could travel even further underground. The top level would be designed for pedestrians, open areas and gardens. During the 1970s and 80s, the State Library of Victoria, National Museum and Science Museum were rapidly running out of space on the block bounded by Swanston, La Trobe, Russell and Little Lonsdale Streets. After the proposal to relocate these institutions to the Queen Victoria Market site had been vehemently opposed, the state government sought a new solution. 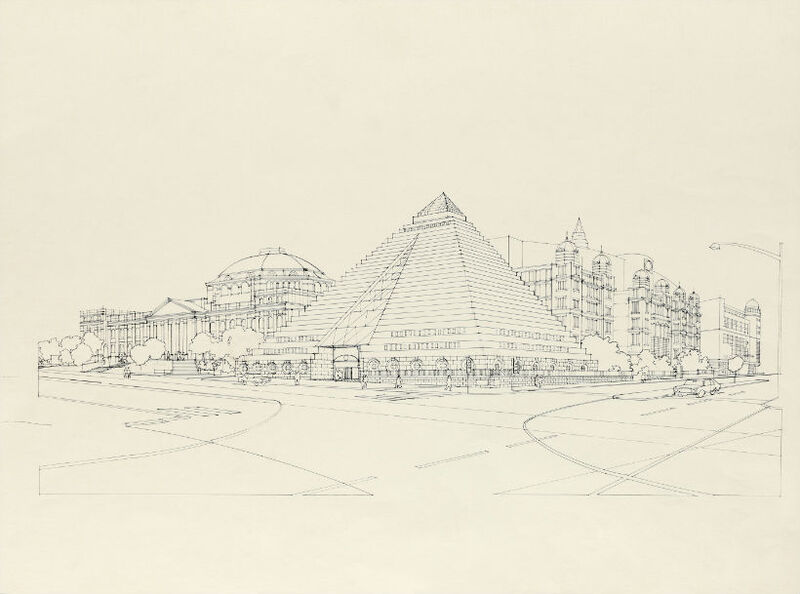 In 1984, it invited nine architectural firms to submit designs that would see the library and museum retain their present site but expand onto the Queen Victoria Hospital site next door. Edmond and Corrigan’s dynamic design proposed new oval-shaped reading rooms, a cone-enclosed spiral staircase and a seven-storey stepped pyramid to house the library stacks. A new plaza over Little Lonsdale Street would provide views to the original domed reading room and hospital towers in a manner reminiscent of Florence’s baptistery and campanile. Over a weekend in February 1985, Melburnians had a taste of a car-free CBD. 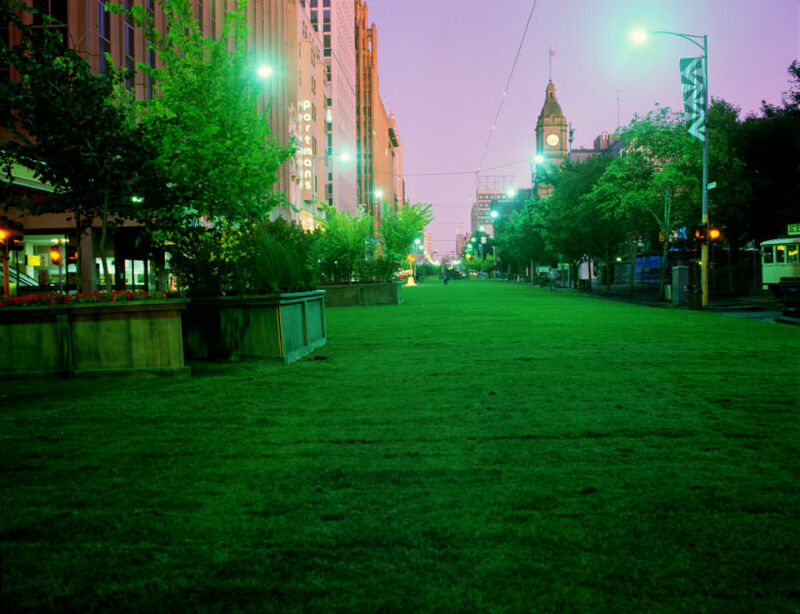 As part of Victoria’s 150th anniversary celebrations, 1900 square metres of grass was laid and 300 trees were installed along Swanston Street, between Flinders and Lonsdale Streets. Melburnians interacted with their city in a new way – and they liked it. Half a million people danced, sang, strolled and picnicked their way down a street that was normally dominated by cars, trucks and trams. This event became a precursor to closing Swanston Street to cars in 1992. 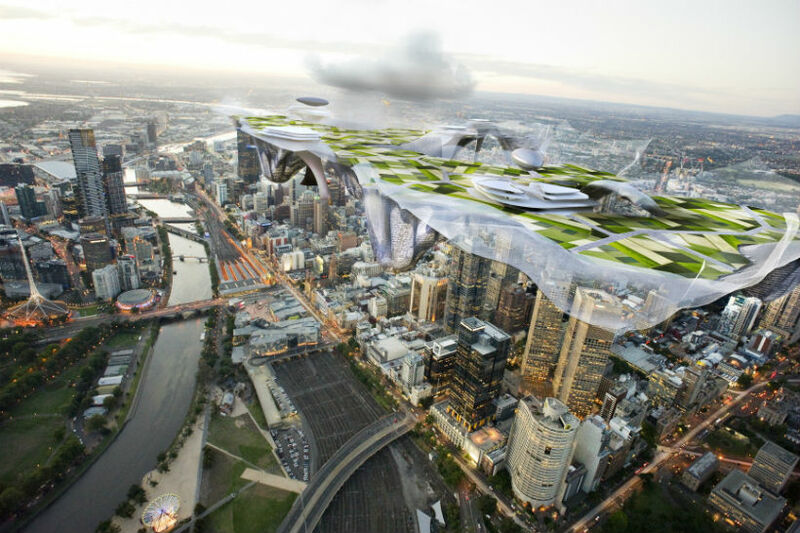 By 2110 new planning initiatives in Melbourne incubate a self-sustaining urban environment of hyper-density. Conventional dividing lines of wealth, privilege, and ethnicity are increasingly blurred. Technology has diffused the civic institution and further concentrated the private realm. Growth has not been at the periphery but from the heart. Melbourne has not grown out but up and down ... A datum high above has created multiple ground planes and urban topographies including food production, rain harvesting and energy generation.